The mythical calculation of the advertising equivalent and its effects on the brand. For less aware of what AVE is - the easiest thing to do is to list the price that a brand would have to pay for presence in a particular medium if it wanted to advertise there. Unicorn Media will conduct communication activities for Budimex Real Estate, one of the leaders in the real estate industry. The agency will support communication among investment projects in Warsaw, Gdansk, Poznan and Krakow. Customer service is provided by Robert Noremberg and Michal Luciuk. Brand vs Reality - Google permanently damage the image of Polish companies? Comments an PR expert Tomasz Szymanowski, Managing Director of Unicorn Media. 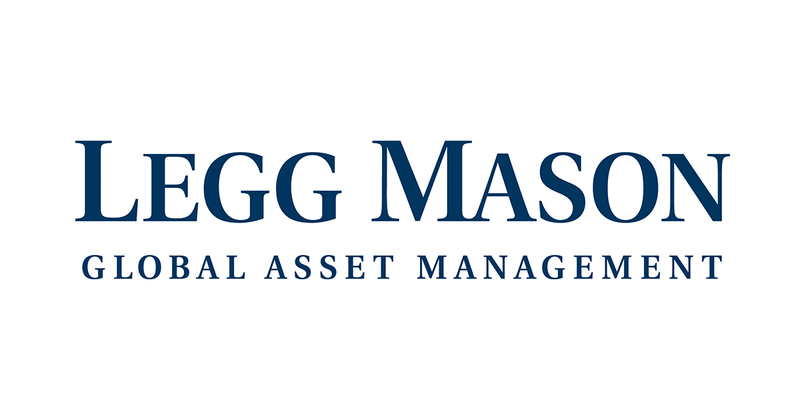 Unicorn Media for past three years continues to work for the Polish branch of Legg Mason TFI. Under the project, the agency responsible for product communication and support in the area of consulting and brand communication. Unicorn Media has, for the second time, been nominated for an award for the best Investor Relations Agency in CEE Capital Markets Awards' 'Top IR/PR company of the year' category. We are delighted and hope to get more nominations and awards this year and in the future. Unicorn Media has started co-operating with a prestigious investment fund. Zolkiewicz & Partners is an investment fund which deals with value investing relies on strategies and the historical success of Warren Buffet. 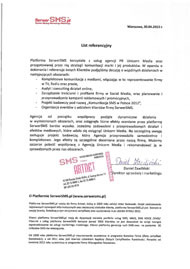 Unicorn Media will continue communication actions with regard to investor’s corporate PR and employer’s branding for Ailleron SA – one of the leading Polish companies in the IT sector. Tomasz Szymanowski and Robert Noremberg are responsible for customer service. Unicorn Media has won the contest to manage PR for Zolkiewicz & Partners. Thanks to many years of experience and expertise in the financial market, our agency has managed to defeat numerous competitors, enabling us to enhance our position in the market. Co-operation will commence shortly. Unicorn Media – is a partner of the M&A WORLDWIDE ACQUISITION AND INVESTMENT FORUM' international conference. Unicorn Media was a partner of the M&A WORLDWIDE ACQUISITION AND INVESTMENT FORUM international conference held in Warsaw. The organisers of the conference were Capital One Advisers and JP Weber. Unicorn Media undertook preparation for the press conference and managed it throughout. The conference related to the presentation of the company’s results and its' development plans for the future. The event attracted many journalists and investors and was widely mentioned in the media. Flowing Hair Liberty Dollar in an exhibition in the Royal Castle in Warsaw. Unicorn Media supported Skarbnica Narodowa in the organisation of an exceptional exhibition in the Royal Castle in Warsaw. For three days– from the 16th to 18th February, the 'Flowing Hair Liberty Dollar' – the most expensive coin in the world, was presented in the Treasury Hall. 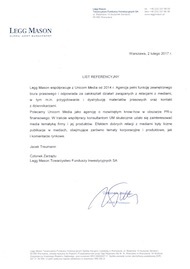 Unicorn Media prolonged co-operation with Towarzystwo Funduszy Inwestycyjnych Legg Mason (Legg Mason Global Asset Management). 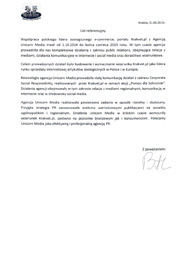 Under this agreement, Unicorn Media will be responsible for contact with the media, advice with regard to external communication and investors’ relations, as well as other duties. Unicorn Media was one of the finalists in the Złote Spinacze 2015 contest (the most important PR award in Poland, the so called “Golden Clip ”) organised by The Polish Public Relations Consultancies Association (PPRCA). We won the main award in the Product PR category. 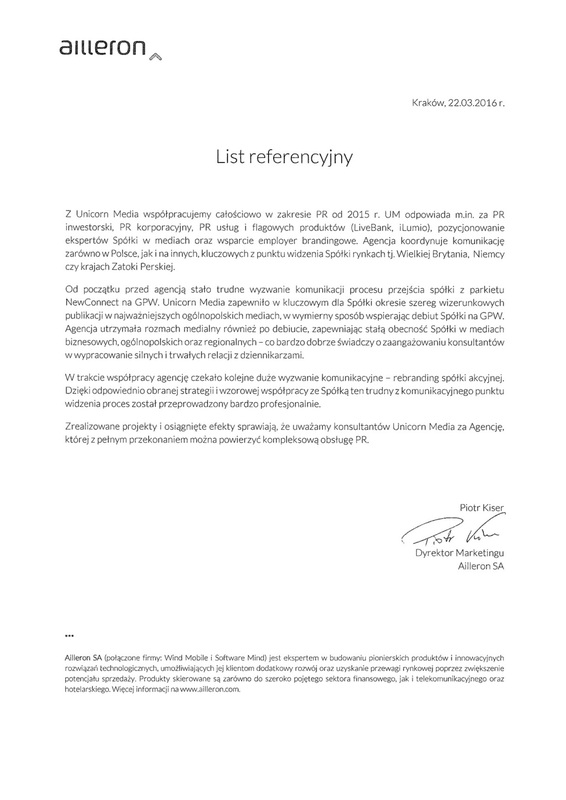 Unicorn Media is on the “short list" as finalists for the Złote Spinacze 2015 (the most important PR award in Poland, the so called “Golden Clip ”) organised by The Polish Public Relations Consultancies Association (PPRCA). We won the main award in the Product PR category for the campaign titled „Ciągnik dla rolnika, nie dla komornika” (a tractor for a farmer, not for a bailiff) completed for the New Holland Agriculture company. 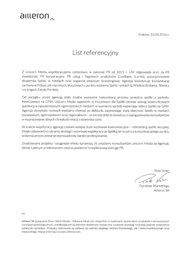 We have been nominated in one of the most prestigious and desired categories for the Złote Spinacze – Product PR category. Unicorn Media have been nominated for a prestigious CEE Capital Markets Award in the 'Top IR/PR company of year' category. Unicorn Media is one of only six agencies which have been nominated for the prestigious CEE Capital Markets Award in the 'Top IR/PR company of year' category. 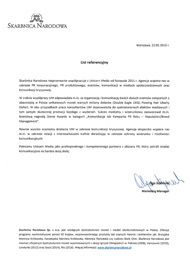 Unicorn Media has concluded negotiations with Skarbnica Narodowa on an agreement for corporate PR, product PR, marketing support and the co-ordination of multiple actions related to social media channels and the blog-sphere. The Customer is being handled by Jakub Braziewicz (Account Manager) and Paulina Sałagaj (Account Executive). The Agency has been co-operating with the company since 2011. Unicorn Media will carry out communication actions with regard to investor’s PR, corporate PR and employer branding for the Wind Mobile group, one of the leading Polish companies in the IT sector. The agency will support the communication of the company's planned debut on the WSE. Tomasz Szymanowski And Michał Bohdanowicz are responsible for handling the company’s profile. We work for Bio Planet S.A.
We have initiated co-operation with an exceptional company - Bio Planet S.A. This company produces and distributes ecological products in Poland. Unicorn Media will carry out communication actions for the leading producer of agricultural machines – the New Holland brand. The agency will be responsible for corporate PR, product PR, s event support and marketing actions. The agreement is valid until the end of the year with a possibility of extending the agreement. Jakub Braziewicz's team will be responsible for Customer service. 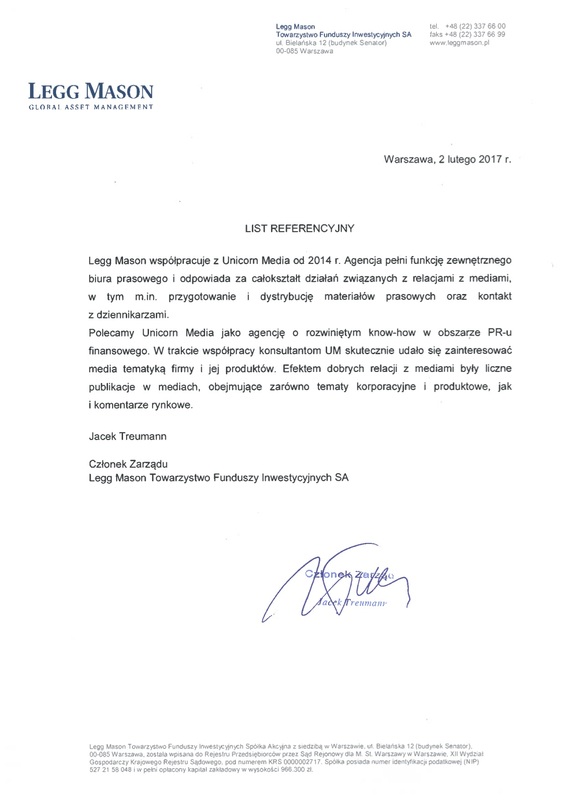 Unicorn Media will perform communication actions for Capital Group Loyd SA Inwestycje i Zarządzanie. The agreement will be signed for an indefinite period of time. 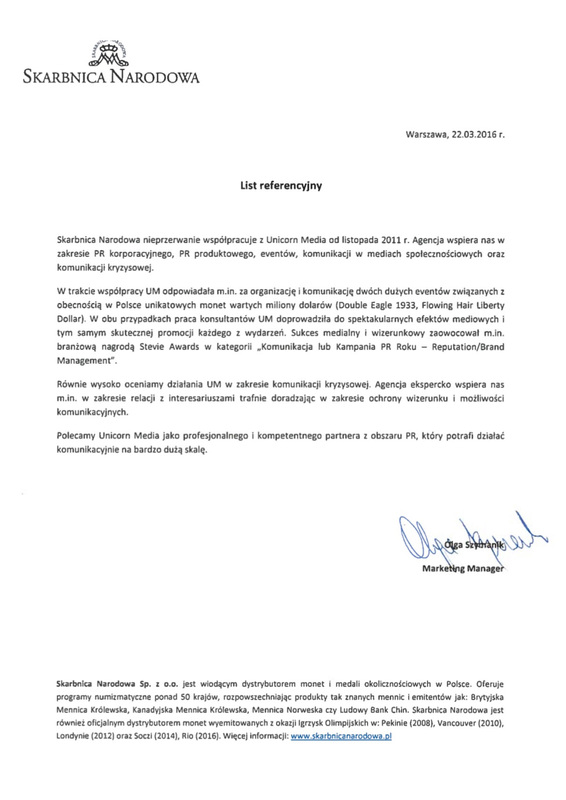 The agency had previously worked for Polski Holding Rekrutacyjny SA, which is now part of the Group. 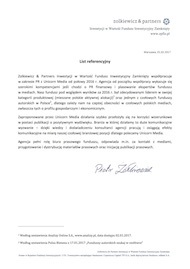 A team led by Jakub Braziewicz and Andrzej Babańczyk will be responsible for Customer service. Unicorn Media has acquired a customer in the professional services sector. The agency’s consultants are responsible for media services required by Prospect Group - a group specialised in industrial alpinism and working at heights. We create communication strategies for brands and products. We launch and enhance products in the market, position them in the media and carry out rebranding campaigns. We organise events and special actions for the media and consumers. We create complex PR strategies related to the internal and external aspects of a company through which we create an organisation’s image. We build relations with non-governmental organisations and opinion leaders. We create corporate social responsibility programmes for business. We carefully plan each event. We gather an appropriate team of people, subcontractors and partners. We develop a detailed schedule for actions with transparent costing. We supervise preparations and ensure the smooth running of any event. We foresee each problem and guarantee our Customer a feeling of safety. Thanks to proven PR tools, experience and quick acting strategies when the first symptoms of crises arise, we are able to react to each situation accordingly. We are able to present the most acute crises, acquisitions or limitations of activity in an appropriate manner. We carry out research projects aimed at analysing opinions and other phenomena with the use of social media channels and the Internet (among them, surveys, opinion polls, analyses of market trends). We carry out training sessions with regard to communication with the media, management of crisis situations and public speeches. We create integrated content marketing actions, of which the common denominator is valuable content. We advise on how to build a company’s advantage on the Internet. The purpose of content marketing actions is to build brand awareness by encouraging recipients to spread independent information on a given company and on products or services offered by them. We develop texts, not only marketing texts, but also long feature articles and product descriptions.